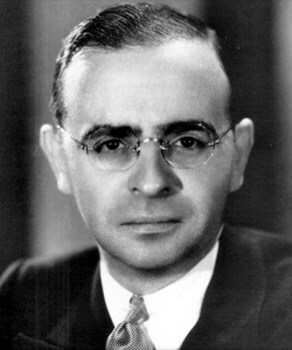 Max Steiner was a musical genius who became known as "the father of film music". He was at his creative best during the early period of sound movies, and along with a small group of equally talented composers,he virtually invented an art form - the movie musical score. His productivity was quite astonishing; over a thirty-five year period he worked on more than three hundred films. He was nominated 24 times for Academy Awards, winning three Oscars, for 'The Informer', in 1935, 'Now, Voyager' in 1942 and 'Since You Went Away' in 1944. His best known work is probably his mighty score for 'Gone with the Wind' in 1939, and he composed for many other classic movies including 'King Kong' in 1933, 'Jezebel' in 1938 and 'Casablanca' in 1942. His name is now remembered in the annual "Max Steiner Award" for film music which recognises Steiner's pioneering role in the early development of the craft. His score for 'Gone with the Wind' is ranked by the American Film Institute as the second greatest American film score of all time. In short, Max Steiner was a phenomenon. Modern film music owes him a lot - he helped to create it. He was born Maximilian Raoul Steiner on May 10, 1888, in Vienna, into a remarkably gifted family. His mother was a successful businesswoman with three flourishing restaurants in Vienna. His grandfather was a theatre director and impresario who associated with top European composers such as Richard Strauss and Jacques Offenbach. Richard Strauss became godfather to young Max who showed great natural musical talent and flair and developed into a musical prodigy. As well as great natural aptitude Max was an extremely hard worker and he studied the violin, double bass, organ, piano and trumpet at the Imperial Academy of Music in Vienna as well as the more theoretical subjects such as harmony and composition. Such was his workrate and ability, that he completed the Academy's four year course in just one year. He was aged just 15. At age 16 he wrote a musical comedy, "The Beautiful Greek Girl," and conducted it during its year long run at at The Orpheum Theater in Vienna. There was never any doubt that Max would make music his career and he had numerous offers for more conducting work. He travelled through Europe on conducting assignments and in 1906 arrived in England where he stayed for eight years, conducting both musicals and classical works in all parts of the country. After eight years, in 1914, with the outbreak of World War I, he was interned as an enemy alien. He was finally given exit papers to leave the country for America in December, 1914. After arriving in New York Steiner's talents were quickly recognised and he worked in New York for the next fifteen years mainly as musical director, but also as conductor and arranger for numerous Broadway shows, including 'The Rainbow Girl' in 1918, 'Kissing Time' in 1920, George White's Scandals' in 1922 and 'Rosalie' in 1928. Steiner was conversant with the conventions of composing for silent movies and as early as 1915 he had composed the accompanying music for 'The Bondman'. Steiner became a naturalised American in 1920. He made many contacts during his time on the East coast who would prove invaluable in his future career, including William Fox, founder of the Fox Film Corporation and composers Jerome Kern and George Gershwin. He also collaborated with the composer Harry Tierney in 1927 on his stage musical 'Rio Rita' and when the musical was to be made into a film two years later, he was recommended by Tierney to RKO Pictures to orchestrate the film adaptation. Steiner's tenure in Hollywood fell neatly into two periods. From 1929 to 1936 he worked for RKO Studios. Then from 1937 to 1965, he worked under contract at Warner Brothers, except for brief periods on loan to the independent producer, David O. Selznick. After orchestrating 'Rio Rita', Steiner was made director of the new music production department at RKO. With the introduction of sound into movies he had a musical blank canvas to work on, and he began to develop a theory of how music could enrich the dramatic content of a film and not just exist as a background accompaniment. He had no shortage of movies to work with. Over the course of the next six years he composed the score for almost one hundred movies and orchestrated and conducted for many more. The first film for which he wrote an original composition was the Western, 'Cimarron', in 1931. In the next year he also wrote an original composition for his next project, 'Bird of Paradise', as well as using traditional Hawaiian melodies. The result was a masterwork which is still used today as a basis to create an Hawaiian atmosphere. The film which brought Steiner instant recognition was 'King Kong' in 1933. He composed an ambitious innovative score, which illuminated the movie perfectly and was a contributing factor in the film's success. It made Steiner's name in Hollywood. He continued with RKO for two more years, until 1936, composing, conducting and arranging large numbers of movies. His work rate was astonishing. In 1934 alone he worked on 36 films and again on 37 films in 1935. He was often approached by individual directors and producers within RKO to help them with their current projects. He formed a close association in this way with David O. Selznick which would stand him in good stead with his next career move. In 1937, Steiner made the decision to leave RKO to seek fresh challenges and to free himself of the administrative duties entailed with his position there. He signed a long-term contract with Warner Brothers with the proviso that he could continue to work for Selznick who had become an independent producer in 1936. Selznick assigned him to compose the score for 'Gone with the Wind' in 1939 and the result was a masterpiece, and the work for which Steiner is best remembered. Almost three-quarters of the film contained music and each main character was given his or her own musical "signature"
Steiner was to spend almost 30 years at Warner Bros and he began by creating the studio's introductory fanfare to accompany its logo. During his time at the studio he composed for an amazing 140 movies, beginning with 'The Charge of the Light Brigade' in 1936 and including such classics as 'Casablanca' and 'Now, Voyager' in 1942, 'Mildred Pierce' in 1945, 'White Heat' in 1949 and 'The Glass Menagerie' in 1950. When his contract with Warners ended in 1953, Steiner went freelance but continued to work on many projects for Warners. He gradually slowed his astonishing output but maintained the quality of his work with scores for movies such as 'The Caine Mutiny' in 1954, ' The Searchers' in 1956 and 'A Summer Place' in 1959. He remained actively composing until 1965 when he composed his last film scores, 'Two on a Guillotine' and 'Those Calloways'. Steiner was married four times, firstly in 1912 to Beatrice Tilt of Vienna, the marriage ending in divorce. In 1927 he married Audree van Lieu, divorcing 6 years later. In 1936 he married his third wife, harpist Louise Klos. The couple had a son, Ronald Steiner, born in 1940, who committed suicide in Honolulu, Hawaii in 1962. After divorcing Louise in 1946, Steiner married Leonette "Lee" the following year, the marriage ending with his death. Steiner died of heart failure in Hollywood on December 28, 1971. He was aged 83 years. He was buried at Forest Lawn Memorial Park Cemetery in Glendale, California. He was a hugely successful innovator, a visionary with an unparallelled record of success. He introduced the integration of the musical score with the on-screen action instead of simply creating generalised background mood music. He changed movies for ever and he changed them for the better.